What’s the Best Yoga Mat? You’re an experienced yoga practitioner, but you’ve had trouble finding the best yoga mat, the one that prevents your hands and feet from slipping, doesn’t retain foul odors, doesn’t weight too much, and lasts longer than just a few months. 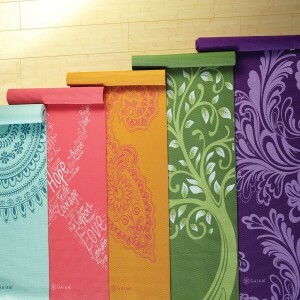 Or maybe you’re a newcomer to yoga and you’re trying to decide which mat to start out with. You definitely want to purchase your own, since the basic studio rental mats tend to be of poor quality. But which one to buy? It’s a tough decision, since there are hundreds of yoga mats on the market, ranging from as little as $10 to more than $100 in some cases. Is it worth investing in a more expensive mat, or should you begin with an affordable one? We’ve created this yoga mat buyers guide to help guide your search. Whether you practice Bikram, Vinyasa, Ashtanga, Kundalini, or even if you have no idea what any of those terms mean, we can help you discover the best yoga mat that’s right for you. 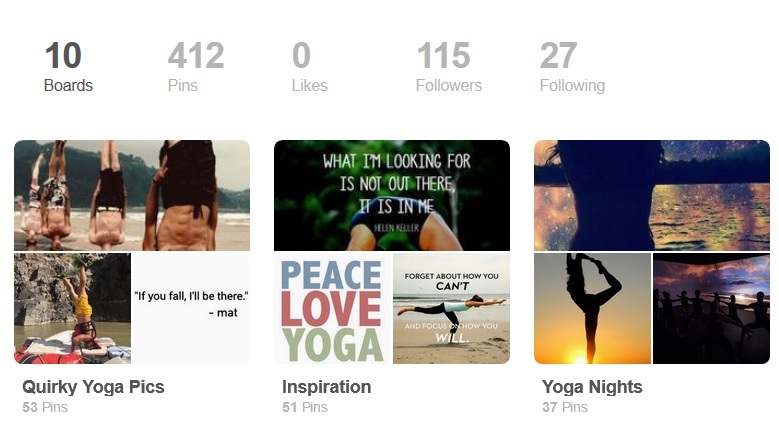 Check out our reviews and get ready to kick some asana! -Traction. 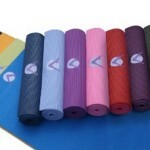 Several factors should be taken into account when making the decision about what’s the best yoga mat for you. One consideration is traction, aka stickiness, aka grip, aka slip resistance. Whatever you call it, it’s important. You want a mat that has enough traction to keep your hands and feet from sliding around during poses. This is especially true for those who practice hot bikram yoga. When sweat drips down, you want a mat that can handle your perspiration. Of course, if you get a mat with subpar traction, you could always put a yoga towel down on top of the mat. –Durability. You also need to take durability into account. 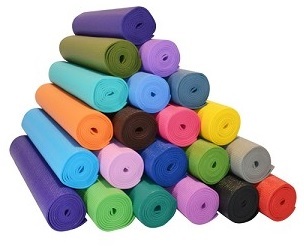 Some yoga mats last for years and years. Some (like the Manduka Black Mat Pro) come with lifetime guarantees, in fact. Others may be lucky to last a year. Generally speaking, the more durable a mat is, the more expensive it costs. So you’ll have to weigh your bank account against your long-term yoga goals. -Thickness and weight. A couple of other factors to consider are comfort and weight, and they’re often related. Thicker yoga mats are usually (but not always) more comfortable. But the added thickness causes an increase in weight, and thicker mats can be less stable since it’s more difficult to feel the ground. If you plan to travel a lot with your yoga mat, or if you walk or bike quite a distance to the studio, you may want to go for a less-heavy mat, such as the Manduka ProLite. Founded in 2009, Aurorae hasn’t been around as long as some of the other big yoga mat brands, but it’s already become a hugely popular brand with a legion of fans. I have personally used the Synergy mat for the past several months and it’s my favorite, because of the built-in microfiber towel. That means that I don’t have to buy a separate towel to lay on top. It provides great traction and soaks up the sweat during hot yoga. The Manduka Black Mat Pro is a legend among yoga mats. 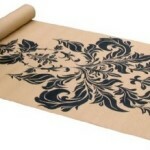 For more than 15 years, it has been one of the most popular mats, despite its relatively high price tag. The cost is justified when you consider the Manduka’s lifetime guarantee and its reputation as a durable mat that shouldn’t ever need to be replaced. 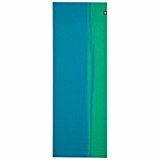 The Jade Harmony Professional gets the prize for the best eco-friendly yoga mat. It’s made from renewable rubber rather than PVC, and it’s biodegradable. JadeYoga has even teamed up with Trees for the Future to plant a new tree every time a new mat is sold. 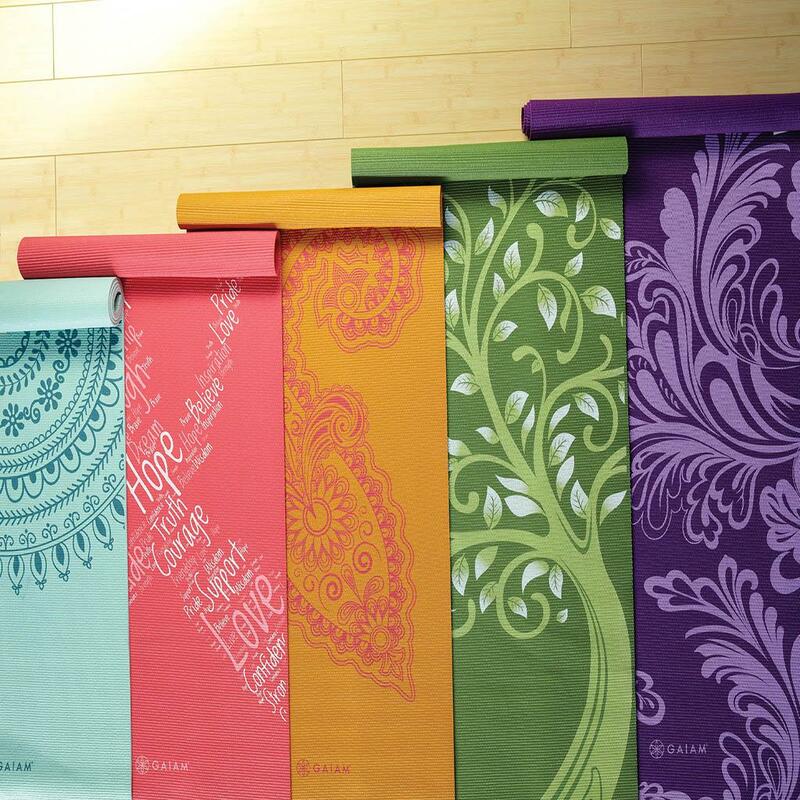 If you’ve been to the yoga studio recently, you may have noticed some eye-catching designer mats. 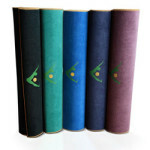 Gaiam’s mats are some of the most attractive due to their beautiful colors and creative designs. 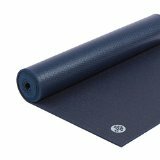 Though not as popular as the Black Mat Pro, Manduka’s PROlite mat has a large group of satisfied users who believe it’s the best yoga mat for their needs. The mat comes in two sizes, the largest of which is 79 inches, quite long for a yoga mat and great for very tall people. The cushioned and lightweight surface provides a high amount of comfort. One feature that appeals to many PROlite users is the closed-cell design. That essentially means that sweat and moisture won’t seep into the mat. 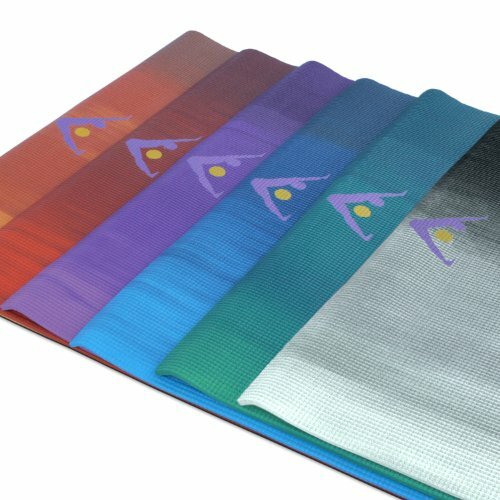 So you may need to have a yoga towel handy to sop up moisture, but at least you won’t have to worry about germs and odor issues. 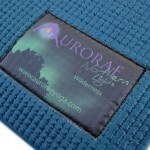 Aurorae’s Northern Lights mat is quite popular thanks to its durable construction and its 5 mm thickness. That’s only one millimeter more than the average yoga mat, but as experienced yogis will tell you, that extra 25% of cushioning can make a big difference. If you don’t want to spend the extra cash for a quarter-inch Manduka Black Mat Pro, then the Northern Lights is a good backup choice. Additionally, this mat has some of the coolest color combinations we’ve seen. It utilizes a lot of warm colors, with shading that goes from light on one side to darker on the other. We especially like the black and gray Eternity model and the orange and maroon Sunset design. Many yogis recognize Manduka as the most-respected name in yoga mats and gear right now. The company’s eKo Superlight is our top choice for the best travel yoga mat. 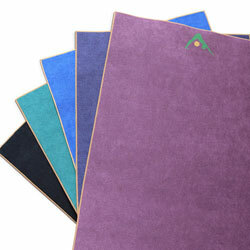 Its 1.5mm thickness makes it among the thinnest mats on the market. And at just two pounds, it folds up small into any bag or suitcase. Interested in the best yoga mat made from cork? 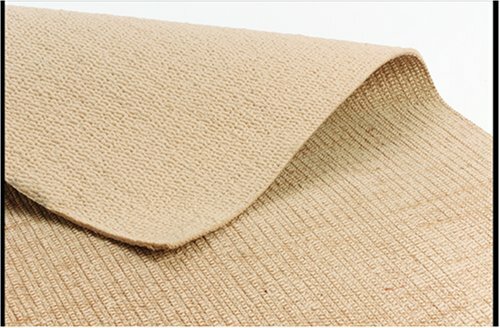 Unlike many yoga mat materials, cork is eco-friendly. It’s also antimicrobial, which is a huge plus. So many mats end up with odor issues because of the bacteria buildup over time! The Yoloha Original Cork mat doesn’t have that issue. The standard 72 x 24 mat even features a rubber base made from recycled tires! 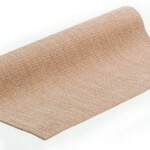 This mat isn’t for everyone, since it’s made from natural fiber instead of foam or PVC. The mat is 1/8 inch thick, which is about average thickness, perhaps slightly leaning toward the thin side. So folks who require extra padding should look elsewhere. The Sattva June Mat is for those who like the feel of the natural jute. It’s very different from your typical yoga mat material. 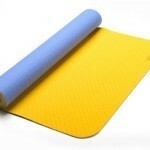 For some, that makes it more comfortable and reduces the risk of sliding or slipping on the mat. Others still have issues with slipping, though, and may need to combine the Hugger Mugger with a non-slip mat-length towel like the Yogitoes Skidless for maximum performance. As you can see, the world of yoga is full of an endless range of mat types. Some are colorful while others are plain. Some are soft and cushiony while others are thin and lightweight. Some are made of rubber or PVC while others use more natural fibers. Some can fit any budget, while others are more pricey. Some are ideal for hot yoga because they absorb moisture better, while others may require the use of a yoga towel to stop up sweat. Don’t let the abundance of choices keep you from making a decision. Just think about the two or three factors that are most important to you, and let those factors determine your choice. The most important thing is to just get started! Fore regular yoga news updates, yoga product reviews, and tips for getting the most out of your practice, subscribe to the Yogauthority mailing list!